If you ask someone at work "How are things" these days you are very likely to get the response along the lines of: "I'm very busy", or "Jaysus - it's very busy". This is not just in my workplace, but in a lot of others too. In third-level education, very often the period of mid-April to the beginning of June is regarded as the busiest time of the year. End of semester, exams, grading, writing papers, and preparing for conferences - comes together into a melting pot of busyness that many academics are not slow to tell you about (as I'm doing now!). For the current semester, which has just two and a half weeks left to run, I have 200+ students. In addition to 12 hours class time per week, I have around 700 labs, assignments, and projects to grade - more than I have ever had in any of the 30 or so semesters that I have been teaching. This keeps me busy - most weeks this semester have been 50-60 hours. We have all heard the mantra, "If you want something done, give it to a busy person". While I often find this to be true, Chopra and Sehgal say that if people think you are busy that they won't "present you with opportunities", or that "busyness may send the signal to your enlightened colleagues and associates that you aren't working smart", and that instead of "telling people how hectic and hardworking you are, take the time to ask them questions". Good advice indeed, that I and many other people I know should follow! Finally, Chuck Carey, writing about sales in Compendian, offers advice on "How do you deal with the “I’m too busy” excuse?" 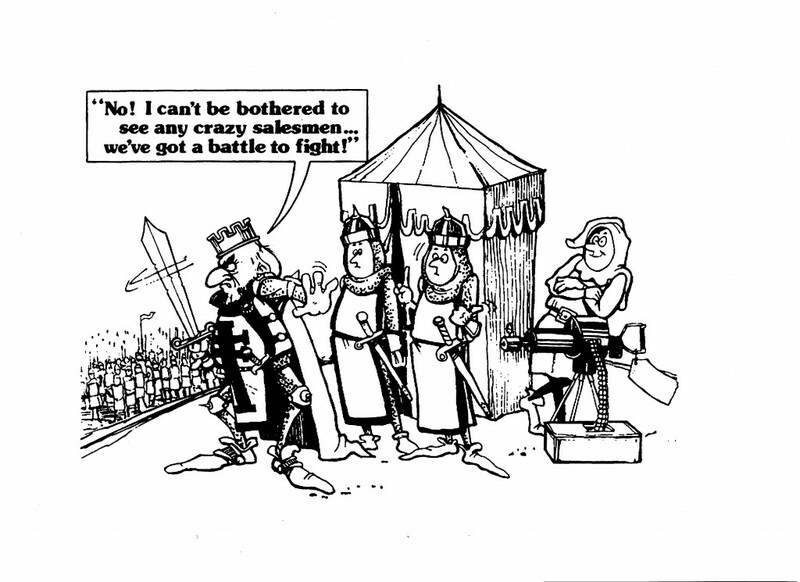 The moral for the King is: Never be too busy to stop and listen to a salesman with a machine gun, if you are planning on fighting a battle with a sword. The moral for our salesman is: If you want to get the attention of the King, then you better be able to explain to him why it is in his advantage to take time to meet, or speak with you.